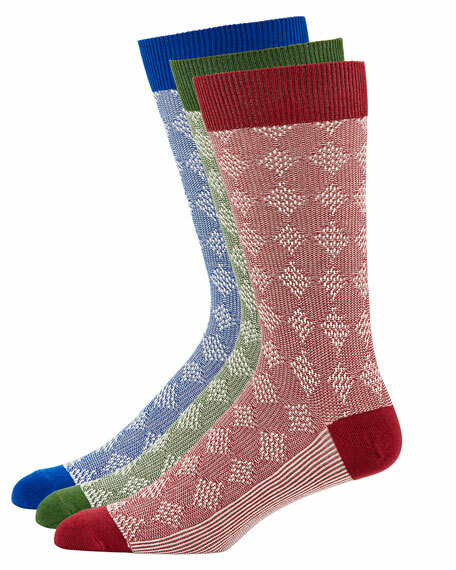 Paul Smith socks featuring eye intarsia design. For in-store inquiries, use sku #2371577. 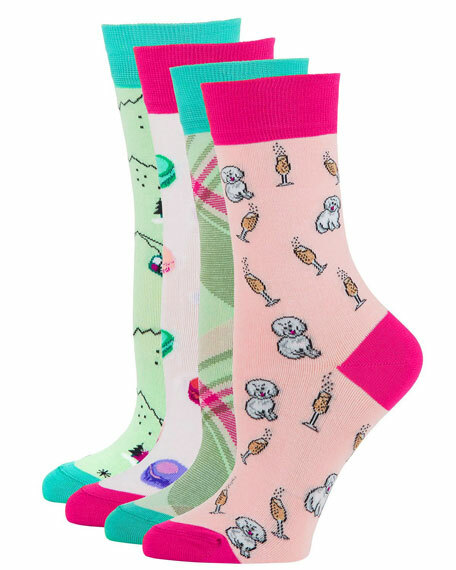 Neiman Marcus four-pack socks featuring novelty motif. Solid toe, heel and cuffs. 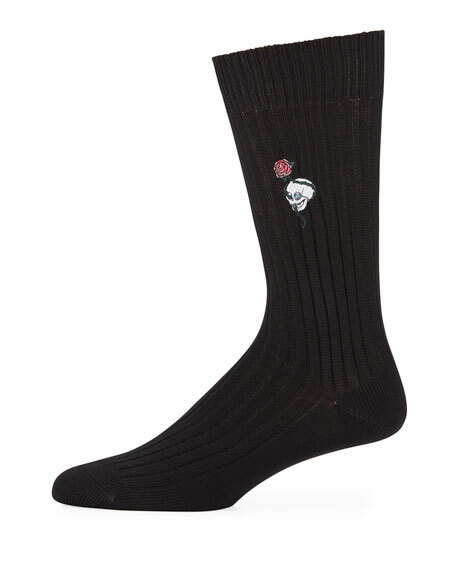 Ribbed, striped cuffs prevent slipping. 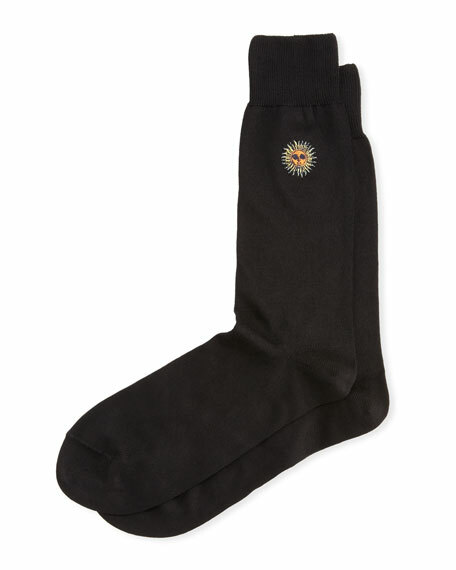 Fine-linked toe seams. Presented in a gift box. Combed cotton/nylon/spandex. Made in Italy.